HOW CAN YOU HELP THE MARKET TO GROW? BECOME A VOLUNTEER The Hot Springs Farmer's and Artisan's Market would not be possible without the help of many volunteers. By becoming a volunteer you will have the opportunity to meet great people in your neighborhood, learn about the market and the importance of fresh local foods, and most of all … have fun! MARKET VOLUNTEER OPPORTUNITIES • Demonstrations Committee • Educational Workshop Committee • Entertainment Committee • Events Committee • Fundraising Committee • Marketing Committee • Market Manager • Market Set Up & Break Down • Volunteer • Membership Recruitment Committee • SNAP & Information Table • Youth Market Volunteer If you are interested in signing to be a volunteer, please fill out our Volunteer Application Form. Once we have received your application, someone will contact you to schedule your first shift. You can also email us at hsfarmersmarket@gmail.com with any questions. 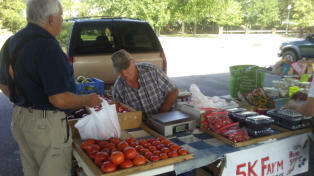 BECOME A FRIEND OF THE FARMERS MARKET All vendors and patrons of the Market are encouraged to join. Local businesses, organizations, and community groups may join. Though they have no voting rights, they do get to participate in special programs and events hosted by the Market. Your annual membership helps sustain a vibrant Farmers & Artists Market by helping to cover the basic operating expenses. Members receive special offers and are the first to know about updates and events. We have great entertainment, arts and cultural activities, a wide range of outreach and educational programs, and programming that support a healthy community. Please consider becoming a Friend of the Farmers Market. Annual Membership Form. If you like to have access to local homegrown, homemade and handmade products you should join. This market is operated by volunteers, we have no payroll. Every dollar donated through memberships, directly or through Friends of the Farmers Market merchandise sales and fundraising events go to further the mission of the market. We have great entertainment, arts and cultural activities, a wide range of outreach and educational programs and materials that support a healthy community. Please consider becoming a Friend of the Farmers Market! 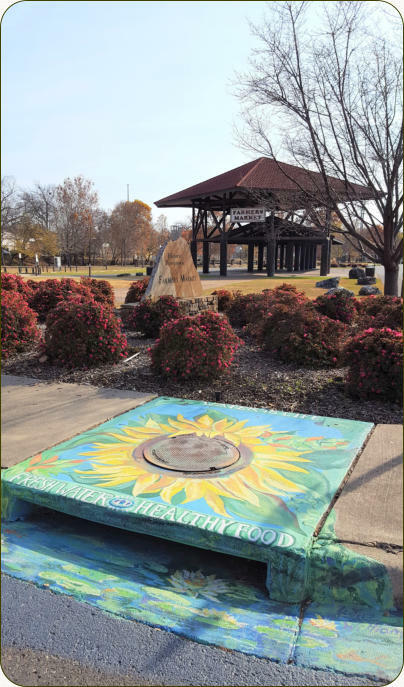 DONATE Historic Downtown Farmers Market, Inc. dba Friends of the Farmers Market is a 501(c)4 nonprofit corporation in the state of Arkansas. Your membership fee and donations are not tax deductible. We are an all- volunteer organization with no payroll, but any business has revenue and expenses. Our revenue sources are: • Vendor space rental fees during market hours • Annual Membership dues from Friends of the Farmers Market • Direct Donations • Fundraising events Our expenses are: • Advertising and promotion • Fundraising expenses • Operational expenses We greatly appreciate donations in any amount. Your gift will be put to work benefitting your community. General parking is available in the South parking lot off of Broadway, between The Old Country Store and Boot Scooters and in the North Parking Lot near the Veterans Memorial. BECOME A VOLUNTEER The Hot Springs Farmer's and Artisan's Market would not be possible without the help of many volunteers. By becoming a volunteer you will have the opportunity to meet great people in your neighborhood, learn about the market and the importance of fresh local foods, and most of all … have fun! MARKET VOLUNTEER OPPORTUNITIES • Demonstrations Committee • Educational Workshop Committee • Entertainment Committee • Events Committee • Fundraising Committee • Marketing Committee • Market Manager • Market Set Up & Break Down • Volunteer • Membership Recruitment Committee • SNAP & Information Table • Youth Market Volunteer If you are interested in signing to be a volunteer, please fill out our Volunteer Application Form. Once we have received your application, someone will contact you to schedule your first shift. You can also email us at hsfarmersmarket@gmail.com with any questions. 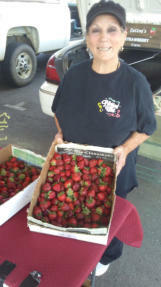 BECOME A FRIEND OF THE FARMERS MARKET All vendors and patrons of the Market are encouraged to join. Local businesses, organizations, and community groups may join. Though they have no voting rights, they do get to participate in special programs and events hosted by the Market. Your annual membership helps sustain a vibrant Farmers & Artists Market by helping to cover the basic operating expenses. Members receive special offers and are the first to know about updates and events. We have great entertainment, arts and cultural activities, a wide range of outreach and educational programs, and programming that support a healthy community. Please consider becoming a Friend of the Farmers Market. Annual Membership Form. If you like to have access to local homegrown, homemade and handmade products you should join. This market is operated by volunteers, we have no payroll. Every dollar donated through memberships, directly or through Friends of the Farmers Market merchandise sales and fundraising events go to further the mission of the market. We have great entertainment, arts and cultural activities, a wide range of outreach and educational programs and materials that support a healthy community. Please consider becoming a Friend of the Farmers Market! 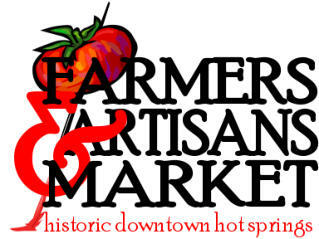 DONATE Historic Downtown Farmers Market, Inc. dba Friends of the Farmers Market is a 501(c)4 nonprofit corporation in the state of Arkansas. Your membership fee and donations are not tax deductible. We are an all-volunteer organization with no payroll, but any business has revenue and expenses. Our revenue sources are: • Vendor space rental fees during market hours • Annual Membership dues from Friends of the Farmers Market • Direct Donations • Fundraising events Our expenses are: • Advertising and promotion • Fundraising expenses • Operational expenses We greatly appreciate donations in any amount. Your gift will be put to work benefitting your community. General parking is available in the South parking lot off of Broadway, between The Old Country Store and Boot Scooters and in the North Parking Lot near the Veterans Memorial. There are several ways to Get Involved! You will not only be helping the Market but also helping your community.